A comprehensive list of Saints’ names, their meanings, their Feast Days, and information about their lives. Choose a name for your unborn child. 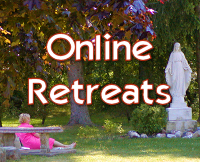 Choose a Saint for your Confirmation name. Find the meaning behind your name and meet your patron Saint. 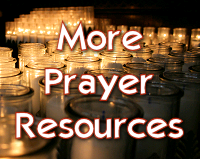 A complete list of all the prayer topics and their corresponding patron Saints from the book Daily Prayers with the Saints. • Look up what your prayer need and find a Saint to pray with you. 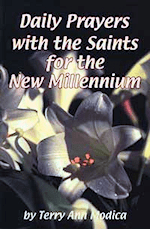 • Look up Saints and find their patronages and spiritual guidance. 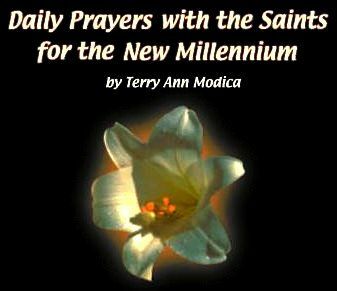 • Look up today’s date or other special dates and find a Saint and prayer for that day. FAQ: Is it okay for a girl to take a male saint’s name? My daughter wants to take the name of a saint considered a patron of art (as she is both musician and artist) as her Confirmation name. Some people think it’s not proper for her to take the name Luke, since it’s a boy’s name. But I can’t find anything in my research that stipulates that girls must have girl saint names and boys must have boy saint names. Why should it matter? Nuns often take male name saints names! A: I admire your concern and love for your daughter in choosing a patron saint for her Confirmation so carefully. You’re a great example for other parents! Yes, she certainly can take St. Luke as her patron. Through the intercession of whatever saint you choose, may God our Father send the fullness of His Spirit and His unconditional love into your daughter at this important step in her faith journey with Him! A: In the Catholic Church, the reason why Saints’ names are chosen for Confirmation names has nothing to do with the Confirmandi’s relatives that he’d like to honor. It’s not the name that matters but the Saint. 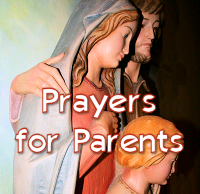 Your son has been instructed to research and find a Saint who will become a Patron Saint to help him through life. Confirmation is a deepening of the faith life of your son and she should not take this lightly and without realizing its significance in her future. Saints are selected for Confirmation because of what they are patrons of (i.e., what is their area of specialty?) — not what their names are — so that this Saint can be a life-long friend and helper and teacher for your son. The Saint your son chooses will take the responsibility given to him or her very seriously. That Saint, through the presence of Christ in your son’s life, will want to become actively involved in your his life. This truly does affect a person’s future life to the extent that he is open to it, and even more than that, though he might not realize it unless he pays attention to it.